Whether you want to buy or sell today, next month, or next year, our newsletter will give you exclusive access to insider tips and listings that will prepare you for that moment when you're ready to make the move. 1. Read our favorite blog post of the week. 2. Catch up on industry tips, homeowner hacks, unique listings, and celebrity real estate. 4. Get exclusive access to our hottest listings on the market in each county right now, or search all listings in Southern California to find a home that perfectly matches your criteria. 5. Stay connected with us. We are constantly updating our website, blog, podcast channel, listings, and more to ensure that you are always receiving the newest and freshest content. Now you have Southern California in the palm of your hand. 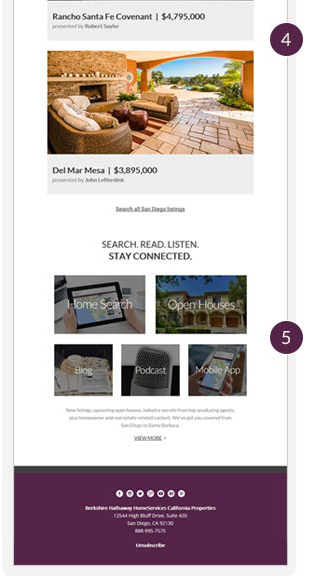 Check your email every other Friday for the latest edition of Berkshire Hathaway HomeServices California Properties' e-newsletter, featuring exclusive new listings, expert real estate tips, insider promotions, and more. 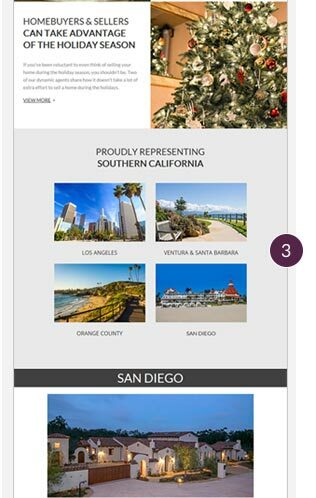 Stay in the loop by connecting with Berkshire Hathaway HomeServices California Properties on your favorite social networks. 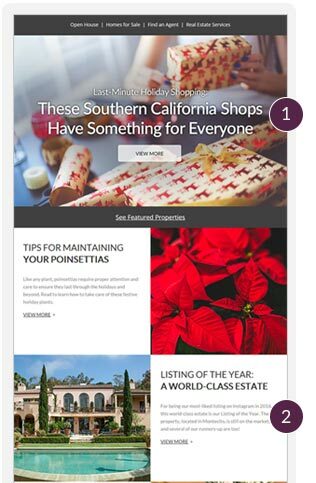 Make sure Berkshire Hathaway HomeServices California Properties' e-newsletter reaches your inbox. Add us to your address book.